ONEighty Solutions is the leading choice for School and Gym Sanitation. BioSweep Surface Defense offers unparalleled broad-spectrum anti-microbial protection for all treated surfaces against harmful viruses and bacteria such as Staph and E. Coli. The anti-microbial barrier can be certified for up to 1 year when properly applied by ONEighty Solutions. BioSweep is the #1 solution for School and Gym disinfection. BioSweep Surface Defense provides durable surface protection, continuously working 24/7, to inhibit the growth of microbes that can lead to sickness, stains, odors or deterioration of products. Surface Defense is non-toxic, non-leaching and safe for use on all hospital surfaces including plastic, fiberglass, metals, glass, wood, ceramics, stone, natural material and composites. Has your school or gym been disinfected with the latest technology to destroy airborne and surface bacteria and viruses ? Schools and gyms provide an ideal environment for pathogens that quickly spread and affect the health of everyone who comes in contact. At the same time, harsh chemicals are not safe option. ONEighty Solutions uses advanced, chemical-free nano-technology to eliminate dangerous viruses and bacteria, and reduce allergens including mold spores. 100% safe and environmentally friendly. 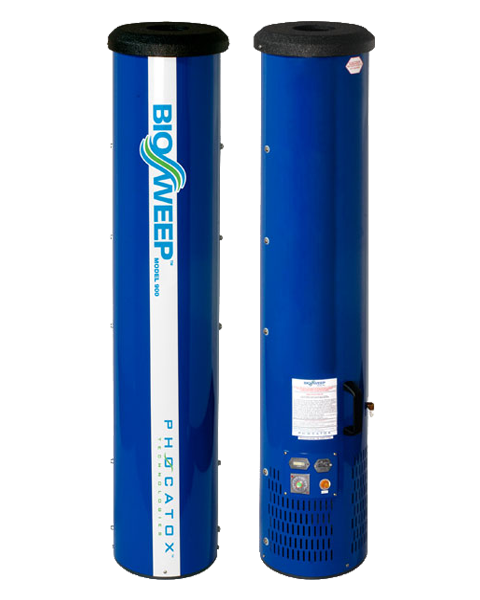 ONEighty Solutions uses BioSweep's Phocatox technology to remove airborne bacteria, viruses and mold. BioSweep Surface Defense will not wash off or wear away for up to 12 months and can be reapplied as needed. 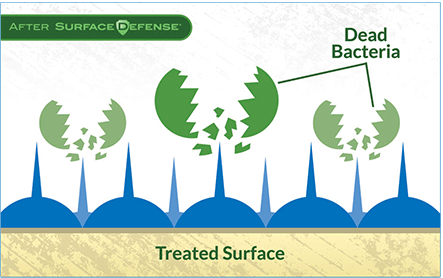 Our exclusive BioSweep Surface Defense application program offers periodic on-site product performance monitoring of your treated surfaces to ensure lasting antimicrobial protection. Leading the Industry in Nano Technology! Ready for a solution to your removal needs? Note: Approval from Property Manager or Home Owner is required to render services for Tenants.